MP4 video format, which is one of the most popular video formats, has the ability to store many kinds of data including video, audio, subtitles and still images. Its official filename extension is .mp4, but sometimes it has other ones like .m4a, .m4p. It can be compatible with all codecs and is very efficient for memory size. It is used to store most of the digital videos and media files that are streaming on the internet. If you have several clips of MP4 files in hands, you probably have the need to join MP4 files for sharing online, editing, etc. Video Converter Studio supports converting video files to hundreds of video, audio and device formats. Before outputting the files, you are allowed to customize the parameters including video codec, resolution, bitrate, frame rate, sample rate, channels, audio codec and so on. It can help you convert video to 4K, 1080P HD, 720P, DVD quality, Mobile quality, TV quality and original source. 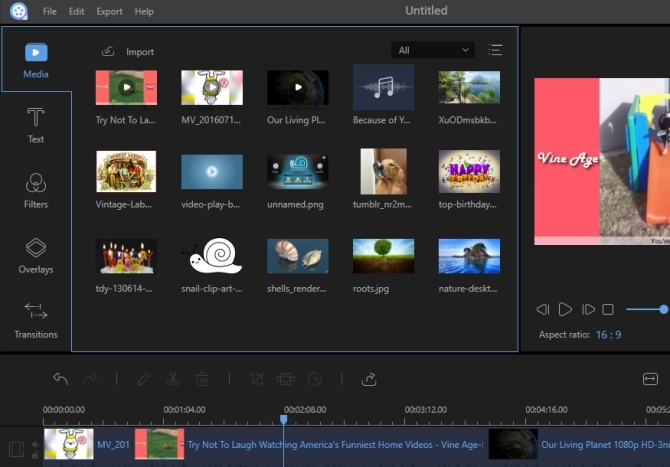 It also provides you many useful video editing functions including trimming, cropping, joining files, adding watermark, adjusting effects, rotating, flipping videos and adding subtitles. Moreover, it enables you to preview files in various kinds of modes and scales. Just feel free to download Video Converter Studio onto your PC and proceed to install it. Don’t worry. It is total clean software which won’t install any adware or package to your computer. You have two ways to load your files: one is to simply click “Add files” button, the other is to drag and drop file on the left panel of its main interface. Tap “Merge into one file” button after loading files and choose the output format. Click “Convert” button at last. Tips: Before joining the files, you may click “Edit” button to edit the file by trimming, cropping, flipping, etc. ApowerEdit is designed especially for common users to edit or create video files by just spending the minimum amount of effort. You can use it to split video, add music, insert image and enhance clips with a great number of filters, text, overlays and transitions templates. So even though you have no experience of using it, you will find it is a very nice option for creating wedding, holiday, travel, or any of your favorite videos. Without doubt, the process of joining MP4 files is easy. Click the Download button and complete the installation by following the instruction in the pop-up windows. Open it, choose the aspect ratio as “4:3” or “16:9”. Start to add your files by hitting “Import > Import file/folder”. Drag and drop the video files one after another over the Video timeline. Before joining the files, you may edit them by adjusting color, speed, or enhance them with various effects. Click “Export” to save your file. Free Video Joiner is a very simple tool that is designed only for combining video files. It supports joining limited video formats like MOV, MP4, DVD, VCD, AVI, WMV and others. You can save the joined files as AVI, MP4, WMV, MOV, VCD, DVD, iPhone, iPod, Zune and PSP formats. Though the interface of the free MP4 joiner is very outdated, you won’t need to spend much effort using it. Go to its official website to download and install it on your computer. Open it and click “Add” button to add your files. You can choose the file and then click “Move Up” or “Move Down” to move its order. Tap “Remove” button to remove it if you add the wrong one. Click “Select” to choose the output folder. Select the output format and click “Join” button to start. MP4Joiner is a very efficient MP4 video joiner which enables you to join videos to a large complete file. It provides you two kinds of joining mode: en-code joining mode and direct stream joining. If you want to join files with different parameters, you can choose to use en-code joining mode. If you have files of the same property and need to output files with original source, direct stream joining is the optimal choice for you. One of its nice features is that it provides you various options of profile parameters including codec, bitrate, frame rate, channel and sample rate. Visit imp4converter.com and download, install it on your computer. Even if you choose to install MP4Joiner only, the package of MP4Splitter will be installed unexpectedly too. Run it and click “Add File” to add the files that you intend to join. On the left of its interface, there are many options of sequence function which are moving up, moving down, top and bottom. Only by tapping related option, you can rearrange the files added in the list. You can also manage the added files in the list by clicking “Remove File” or “Remove All”. When everything is done well, click “Merge” to output file. The above 4 MP4 joiners have gained much popularity from users. However, each of them has their own advantages and disadvantages. Free Video Joiner can only support joining files in limited formats and speed of joining files is very slow. You may feel very annoyed for unexpected files installed on your PC when you try to use MP4Joiner for joining files. Sometimes, it seems that you have installed it on your computer successfully, but you can not run it when you try to click its icon. So it is not a very stable program. Comparatively speaking, Video Converter Studio has a very streamlined interface and provides you many additional powerful features. You will be very satisfied by its fast speed for joining and high quality of the outputted video. ApowerEdit is also a good tool for joining files. When it comes to video editing, it will win out among them for its professional features, but it doesn’t come with extra functions like Video Converter Studio.